When you book a session at one of KartingTracks.com’s many Northampton and Northamptonshire outdoor and indoor go karting tracks, you’ll be able to enjoy the drive of your life as you experience the thrills and spills of some of the UK’s premium circuits. 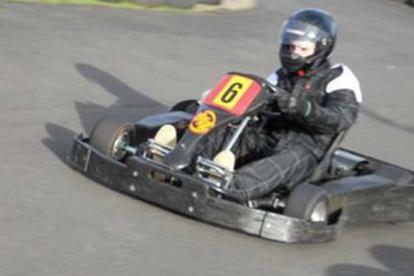 People of all ages can appreciate this hugely stimulating activity, so if you’re planning a corporate hospitality event, a competitive day out with friends, hen party, or stag party, now’s your chance to enjoy one of most memorable and rewarding go kart experiences in the whole of the East Midlands. Northampton Indoor Karting in NN5 is an excellent place for kids to have fun, and learn the basics of this high-adrenalin sport. The venue has its own Junior Club and Holiday Club, which are ideal for children who want to progress in the worlds of junior karting and cadet karting. There are also all-inclusive packages available for kids birthday parties, while 13-18 year-olds can enter the Arrive and Drive, team-based British Schools Karting Championship that’s open to students of all abilities. 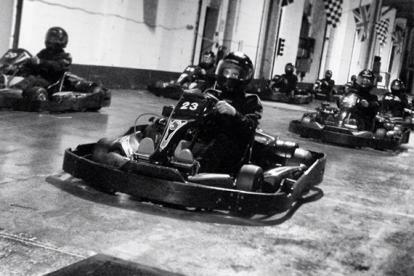 Billing Go Karting in Northampton boasts a 300m outdoor circuit, and welcome group booking packages for over 16’s – the perfect solution for birthday treats, hen party, and stag party celebrations. Groups can choose from Sprint Races, Grands Prix, Open Practice Sessions, or Endurance Races, while individuals can book Arrive and Drive sessions. Many Northamptonshire karting tracks offer team building packages for corporate karting events, which can help your staff build relationships while having huge amounts of fun at the same time. Your company can benefit from some of the best corporate hospitality around, and take advantage of excellent on-site meeting and catering facilities.